I have known Ura-pa Gwonpo Tshering from the time I was a youthof around 25 years of age and we have remained goods friends over all these years. With great respect and affection for our kind monarchs he has composed this book of verses entitled “Melodies of the Spring Queen: The Wondrous Deeds of the Great Fourth Druk Gaylpo”. The work is based on the deeds of our Fourth Great Dharma King, His Majesty Jigme Singye Wangchuck. It focus on the thirty-four years of his unparalleled reign starting with his enthronement on the golden throne. 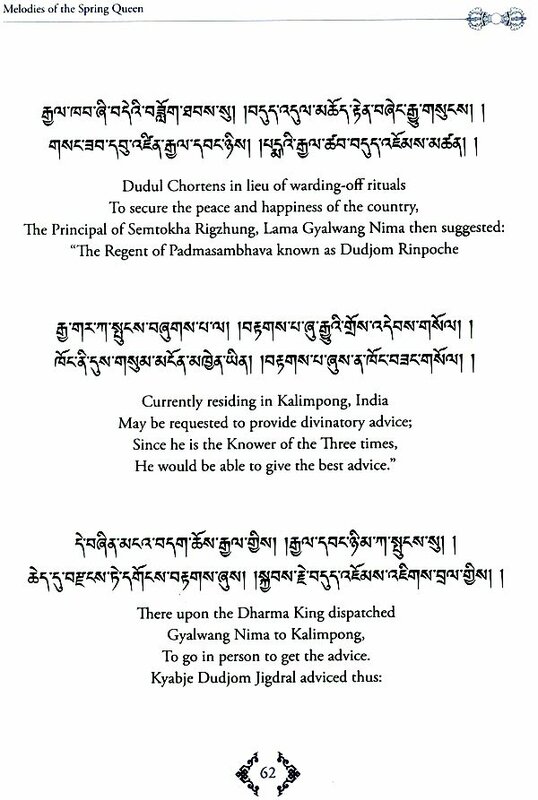 All our monarch have been and are enlighted beings who were prophesied in the 8th Century A.D, by Guru Padmasambhava himself as his emanatins. 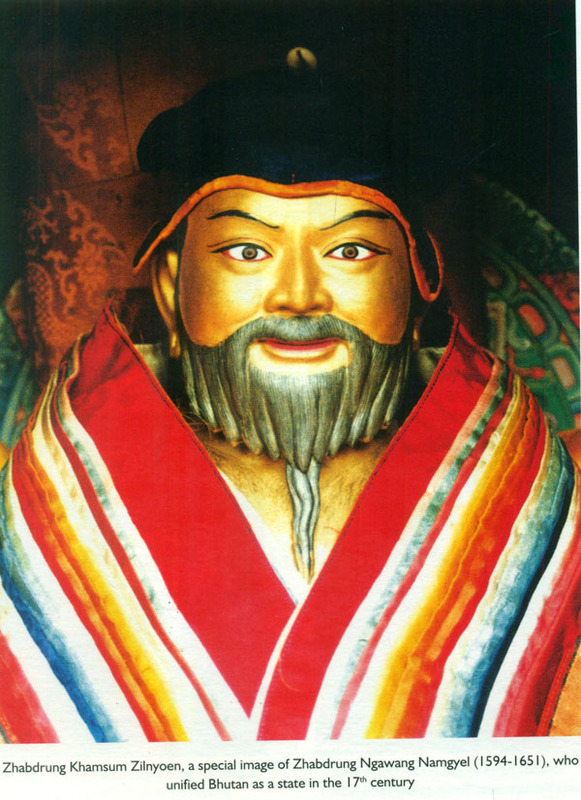 For example, in the Pema Kathang (Condensed Biography of Guru Padmasambhava) it is said: “ From the direction of Bumthang there will appear, A pure lineage occupying my throne : ruling in accordance with Dharma, They are my emanations.” In particular, the birth and reign of the Fourth Druk Gyalpo is clearly described and predicted in the Treasure text of Terton Drukdra Dorji. 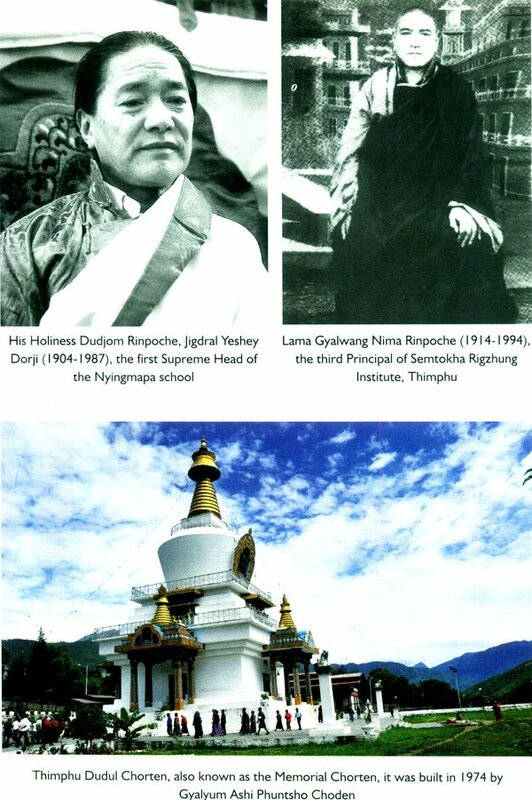 The book also provides the necessary details on the religious and secular historical context leading to the emergence of the Bhutanese state and the monarchy itself. Hence it will be of benefit to anyone interested to know and understand more about Bhutan, Our successive monarche, and important religious figures as well. I sincerely hope that reading it will increase appreciation of how much we owe to our Great Monarchs. 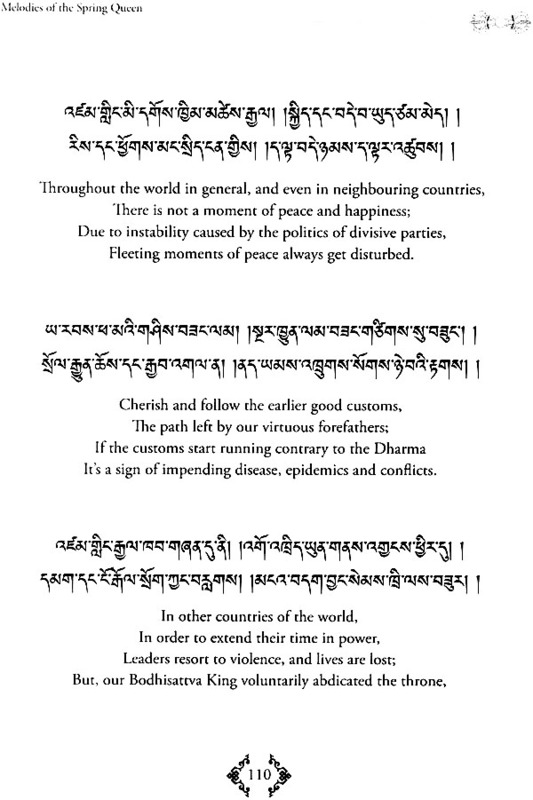 Lastly,from my side I would like to wish Tashi Delek to all readers. 11th Day of the 9th Month, Wood Sheep Year 23 October, 2015. As everyone is aware,the year 2015 is the year of celeberation of the 60th birth anniversary of Bhutan’s kind monarch, the Dharma King Jigme Singye Wangchuke. Dasho Dr. Sonam Tenzin, the Chairperson of the organizing Committee for the 60th Birth Anniversary of the Great Fourth Druk Gyalpo, is someone whom I have known since our childhood. We have grown up in the same place and have together become grey haired through a life time of friendship. Dasho had shared with me the programme of the celebratory activities for translations into dzongkha,and I thus got the opportunity to learn detailed programmes scheduled to mark the historic event. 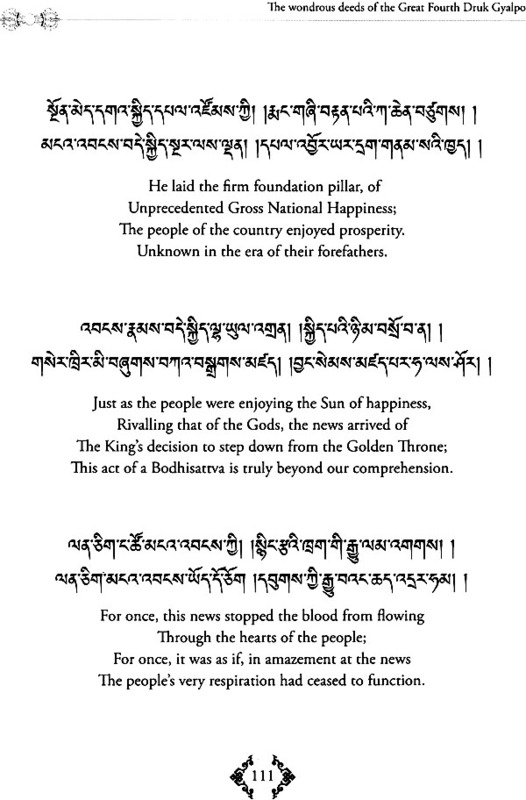 As a result, I was inspired to extract a few drops from the vast ocean of nobel deeds of our Great fourth King, and put it down in writing, Although this book of verses is but small offering, I see it as a worthy offering as the Bhutanese saying goes: “Despite the flower being small, it is a befitting object of offering”. I have a sense of regret that in spite of serving the government for the better part of my 60 years or so, I have not managed to make any substantial contribution to the service of the nation. It is solely through the kindness of our Kings that I have managed to raise a large family and reach this age. Recognizing my debt of gratitude, I have attempeted to write about the noble deeds of our Kings although I lack the ability and knowledge to do so. As the saying goes: “Chew one’s share even if it is stone and do so with gums if one has no teeth”. A few thoughts and musings have been circulating in my mind for some time now. Just like a blind man with a walking stick. I have simply committed these to writing. I hope this works as humble offering during this special year. 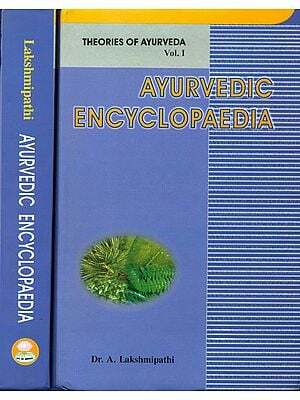 If some words have gushed out which the Bubbles of the ten directions and the wise and learned ones may not approve of, I fully apologise in their presence without hiding any mistake or making any excuses. Just as vast space cannot be disturbed by strong winds, please do not let your mind ne disturbed by these limited dualistic thoughts I have expressed here. Being only a human being, I am definitely full of faults; if mistakes are not made by people like me, then wouldn’t be a need to draw a distinction between the wise and the foolish.